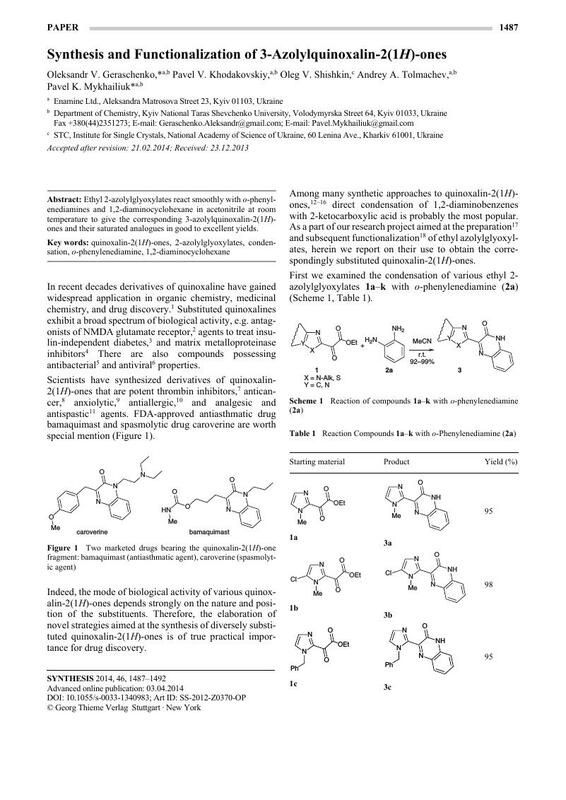 Ethyl 2-azolylglyoxylates react smoothly with o-phenylenediamines and 1,2-diaminocyclohexane in acetonitrile at room temperature to give the corresponding 3-azolylquinoxalin-2(1H)-ones and their saturated analogues in good to excellent yields. 20 Unfortunately, all attempts to isolate the cis isomers from the mother liquor failed. 21 CCDC number for compound 6c is 913386.